It looks like something built for space and constructed by NASA. 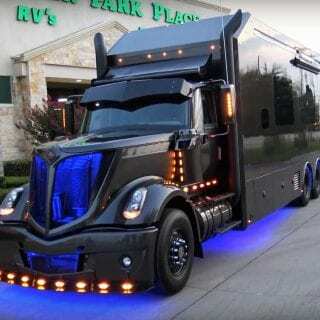 But, in fact it’s a dirt late model racing hauler, soon to be on it’s way to the dirt track. 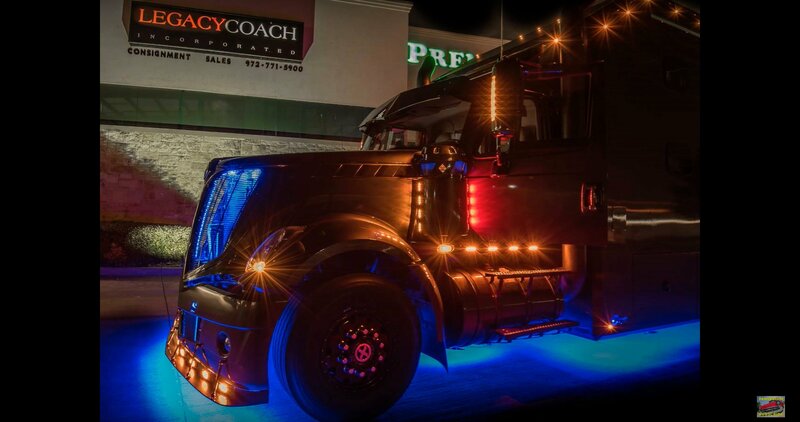 View the Scott Bloomquist hauler video below. Life on the road can be stressful. But, if you’re going to take residence on the US highways, this is the way to do it. 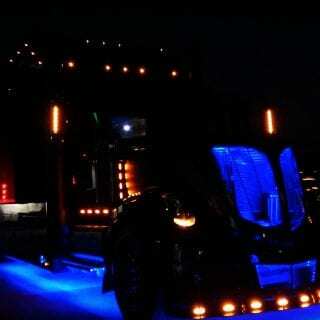 Black, on black, on black with speckles of blue led lights. 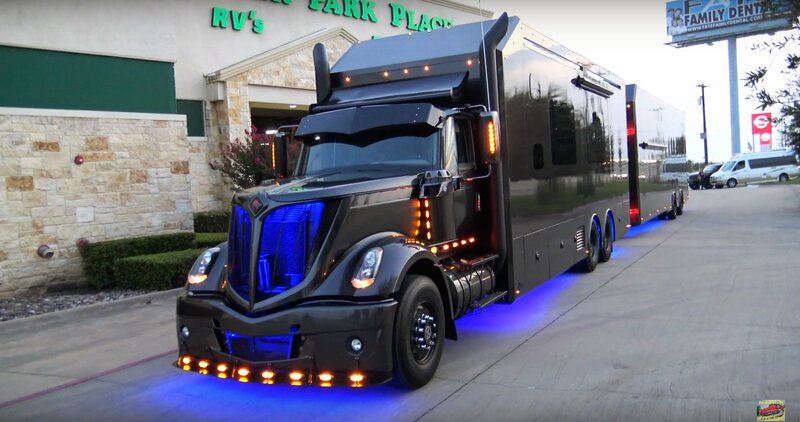 The Scott Bloomquist racing hauler matches the current style of the Zero racecar. 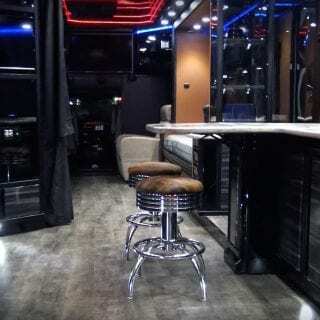 The interior features contemporary gray wood flooring and some more led lighting. Black cabinetry and white marble countertops. 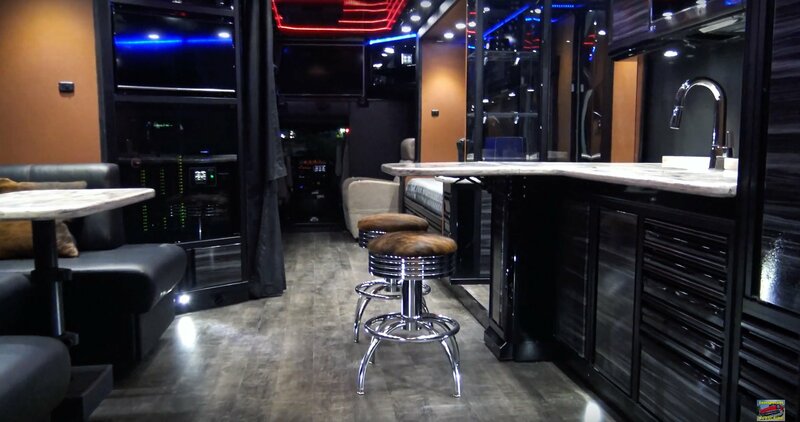 A Rock n’ Roll night club on wheels. 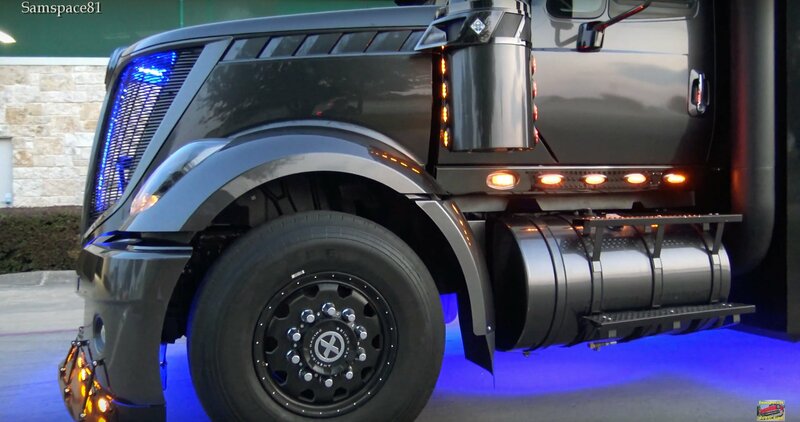 On the business end of the hauler, it remains just as perfect. 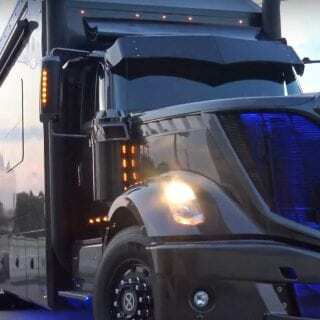 The racing hauler features two decks of contemporary design. 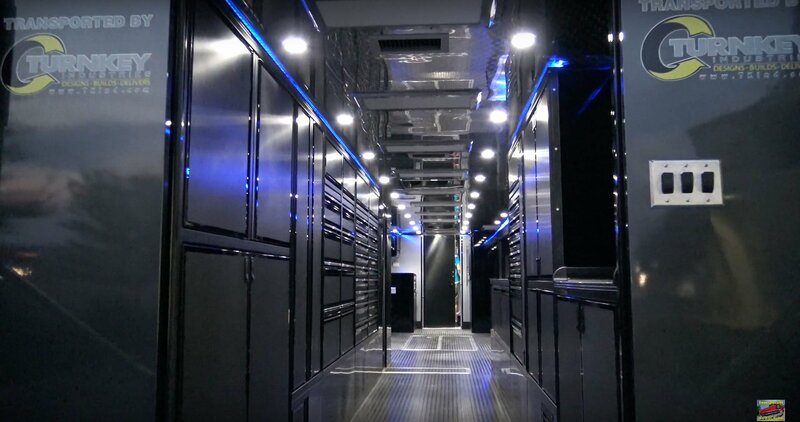 The back end of the hauler features flush cabinets to carry spare parts. It’s a beautiful mix of matte carbon fiber cabinets and glossy edges. The tabletops feature stainless steel for greasy repair work. 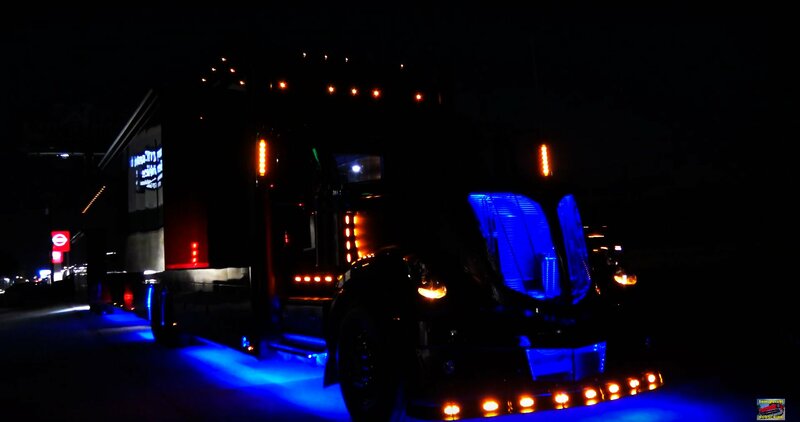 Bloomquist will be hitting the national dirt late model tour in style. It’s hard to spot stock under an array of customizations. 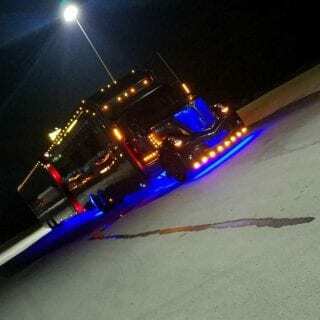 The semi itself is an International. 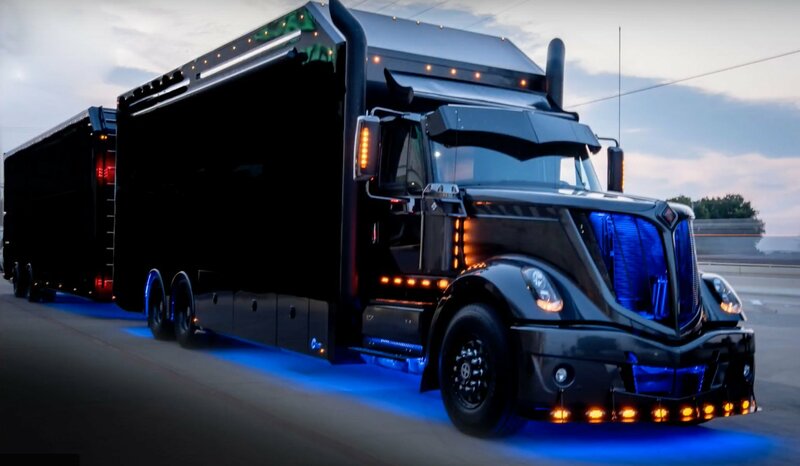 It’s the world’s best racing hauler and it was constructed by TURNKEY industries. 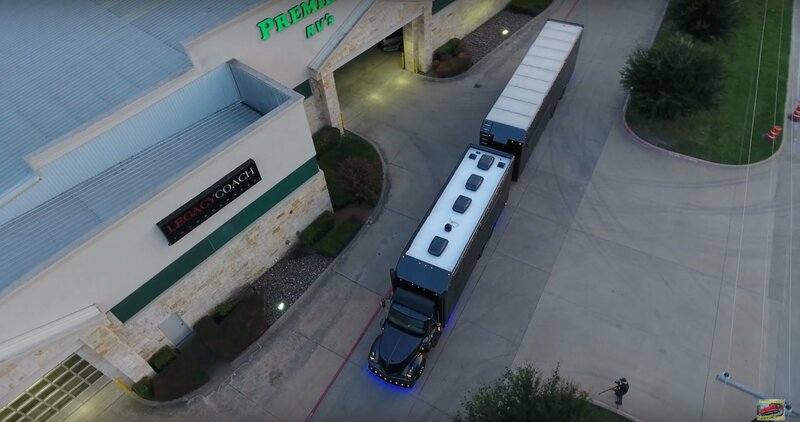 They are based in Magnolia, Texas. 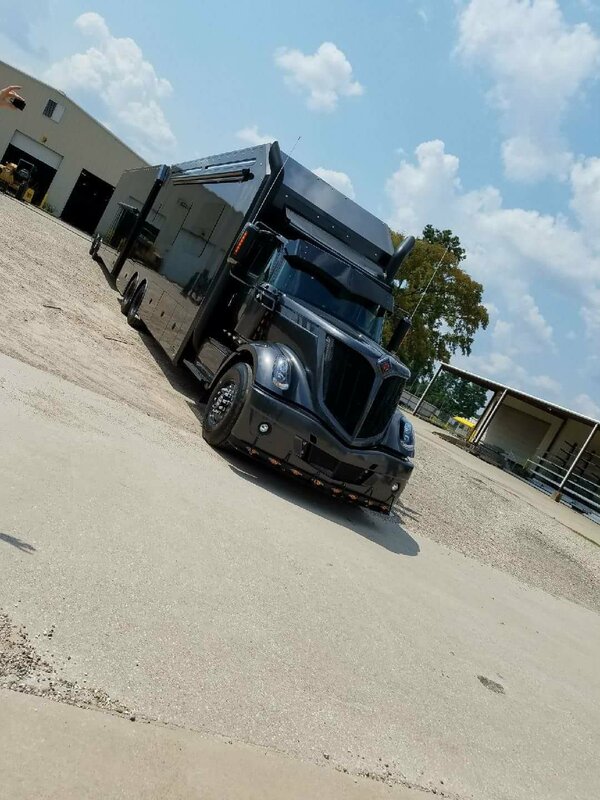 The Scott Bloomquist hauler project features a customized semi-truck as well as tandem axle trailer. 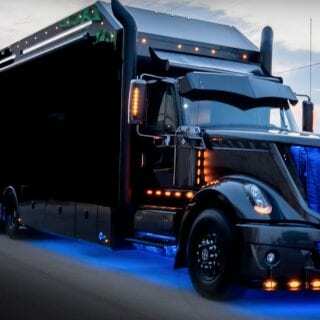 It’s the best trailer I’ve ever seen. 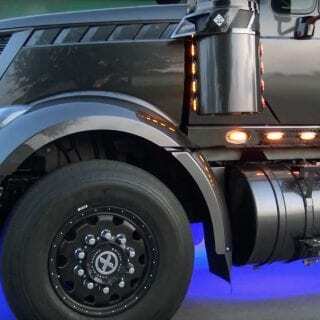 But, will it help Scott Bloomquist get to the dirt track in time? 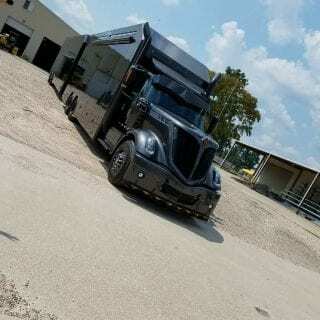 In recent months, Scott Bloomquist has been using a trailer, on loan. 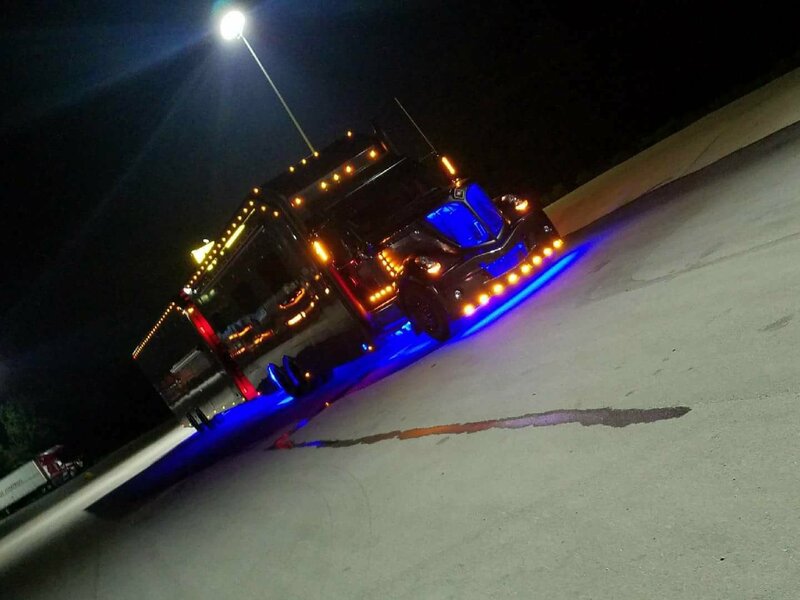 The light blue hauler was temporary as he waited for this project to be completed. 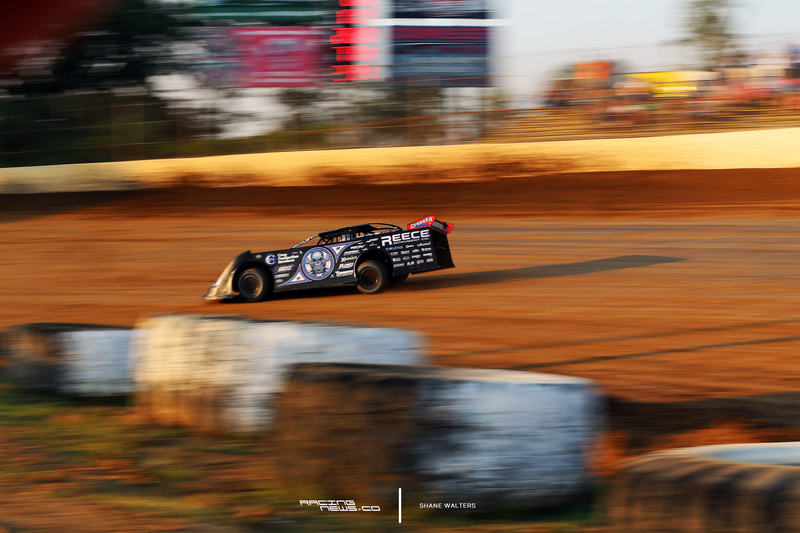 Scott Bloomquist currently sits 3rd in the Lucas Oil Late Model Dirt Series standings. So far in 2017, Bloomquist has netted 8 LOLMDS wins. As a result, he’s 2nd on the 2017 earning’s list, collecting $232,725.